I date myself by telling you when I last sailed on a ship. It was 10 years ago, aboard Carnival Cruise Lines’ 2,124-passenger Carnival Miracle from Jacksonville, Fla. This time around – in July – I sailed on a very different type of ship, Louis Cruises’ Louis Cristal, which is about half the size of the Carnival Miracle. But there were other differences as well. 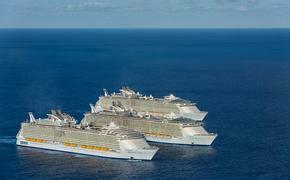 With contemporary cruise lines, the ship itself is often the main attraction during the vacation. Aboard the Louis Cristal, quite the opposite is true: The ship serves as the vehicle that transports travelers to some of the Mediterranean most intriguing destinations, for a total cultural immersion. What I liked the most was how fast and easy it was to navigate this ship, not to mention the ease and convenience of moving from one public area to another quickly. The onboard experience really offers an immersion into Greek culture, which is reflected by the onboard entertainment and the food. 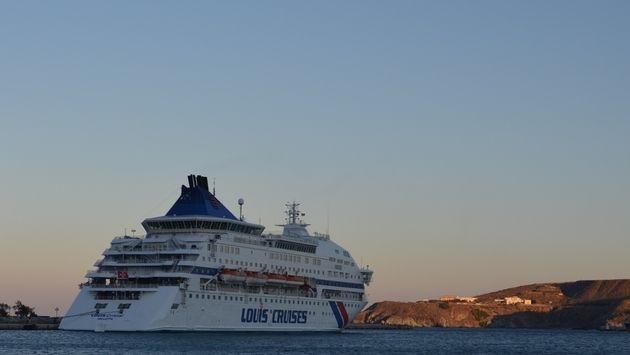 “We’ve also chosen this name to honor our ancestors, the Ancient Greeks, who were among the first peoples to use celestial navigation – by the 3rd century B.C,” said Kyriakos Anastassiadis, CEO of Louis Cruises in a statement. 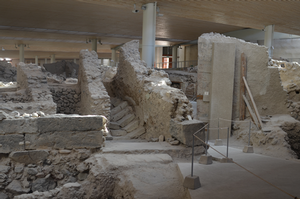 There’s no arguing that the Greek ports on the itinerary were steeped in history. Mykonos, with its iconic and picturesque windmills, is a case in point, with the destination having been inhabited for 6,500 years. The city, which was the first port of call and boasts a population of 10,000, receives 1.8 million each year. Seeing the island in high season means navigating your way through crowds, but it’s definitely worth it. The crowds, and people watching, are actually part of the fun. The next day, we sailed to Kusadasi for excursions to Ephesus, which dates back to 2000 B.C. 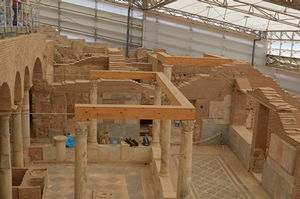 The highlight of the trip was getting the chance to see the two-story terrace houses, where wealthy Ephesians resided. This was my fourth visit the Ephesus, and the two-story Celsius Library never ceases to amaze me. In the afternoon, we docked in Samos, one of my personal favorites on the itinerary. The island, which is the birthplace of Pythagoras and is the 10th largest of the Greek islands, features 25 vineyards and the Samos Wine Museum, which is definitely worth a visit. (I highly recommend the white Muscat). The island provides a perfect chill spot after a busy – and sweltering – morning in Ephesus. 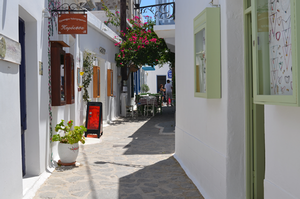 Specifically, I recommend exploring the village of Kokkari, with its diminutive port and vibrant, charming streets lined with an eclectic array of shops. My group and I found an outdoor café on the water and just watched the world go by. It was one of the best days of the cruise, and that’s saying a lot. 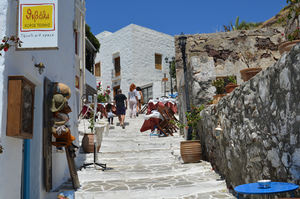 Milos, a volcanic island with 70 beaches, rivals Samos in terms of its beauty and chill factor. It is probably best known as the site where the Venus de Milo was discovered in 1820. You simply cannot visit this island without sailing to the cove of Kleftiko, a former pirate’s hideout, where we were able to swim. With gin-clear waters, the area features amazing caves and dramatic rock formations. 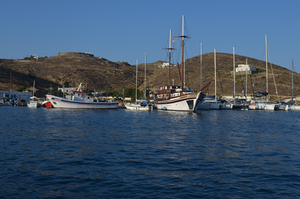 We reached Kelftiko aboard the Aphrodite, whose dinghy tender picked us up at Provatas beach. It was a dazzling afternoon. 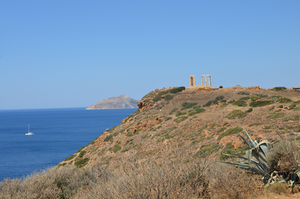 The next day we made a morning call at the port of Lavrion – a Louis Cruises’ port of embarkation – to explore the Temple of Poseidon, which dates back to the 5th century B.C. and is set on the southernmost, highest point of the destination. The temple was destroyed during the Persian Wars and rebuilt in 444 B.C. 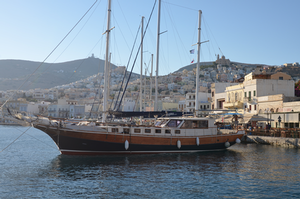 In the early evening, we toured Syros’ Ermoupoli, the capital city of the Cyclades islands and a UNESCO World Heritage site. 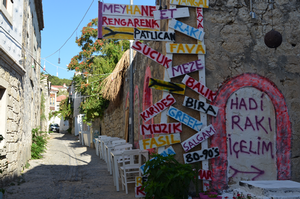 The next day we made our first call in Turkey at Cesme, a colorful resort town. We visited Sole & Mare Club on Aya Yorgi Bay, which serves as a beach club by day and a nightclub by night. I recommend this excursion for anyone interested in total relaxation. The club features plush sunbeds, a bar and snacks and drinks to keep travelers sufficiently sated. Bring sunblock – the Turkish sun is formidable. The Louis Cristal docked in Bodrum for a 10 p.m. to 4 a.m. port call that included a visit to a local nightclub. Some of us chose instead to meander through Cumhuriyet Street, with its restaurants, bars and nightclubs, to check out the “scene,” which was crazy busy. On the volcanic island of Kos the next day, we visited a family-run winery, which produces 50,000 bottles of wine a year, on the foot of Mt. Dikeos. At Kefalos, we visited another family-run company – this time a bee-keeping operation where we learned how honey was made. We were able to sample the goods, which included such unusual offerings as thyme honey. In the morning the Louis Cristal called at dazzling, mountainous Ios, where we visited the archeological site of Skarkos, a prehistoric settlement that was inhabited since the early Cycladic period (3,200 B.C.). The visit was topped off by an incredible visit to the picture-perfect Manganari Beach for swimming and Greek meze (appetizers) at the beach’s homey tavern. In the afternoon, the Louis Cristal anchored in Santorini, where we visited the site of Akrotiri – dating back to the 4th century B.C. – which serves as an inspiration for Plato’s tale of Atlantis. 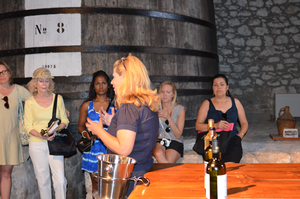 We also had the chance to sample an array of local wines at Santo Wines before moving on to Fira, the destination’s capital city, for some window shopping. 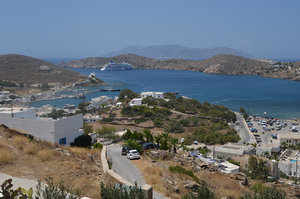 Fira, like Mykonos and Bodrum, was absolutely packed with tourists, making it challenging to navigate the streets. That’s Santorini in high season for you. 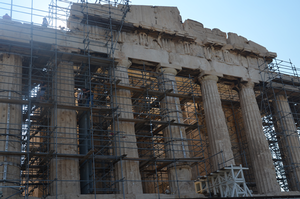 We disembarked the ship early the following morning and visited the Acropolis in Athens, as well as the New Acropolis Museum, which opened only five years ago. All the activities mentioned in this article are available on the ship’s shore excursions, and there are plenty of others to choose from. In the end, a Louis cruise is an ideal choice for anyone looking for cultural immersion. It’s a fast pace, with two ports calls sometimes in one day, but so worth the effort.